It looks like Samsung's wearable ambitions could lie beyond smartwatches, fitness trackers and hearables after a FFC listing revealed the tech giant has been working on a wearable health monitoring system. 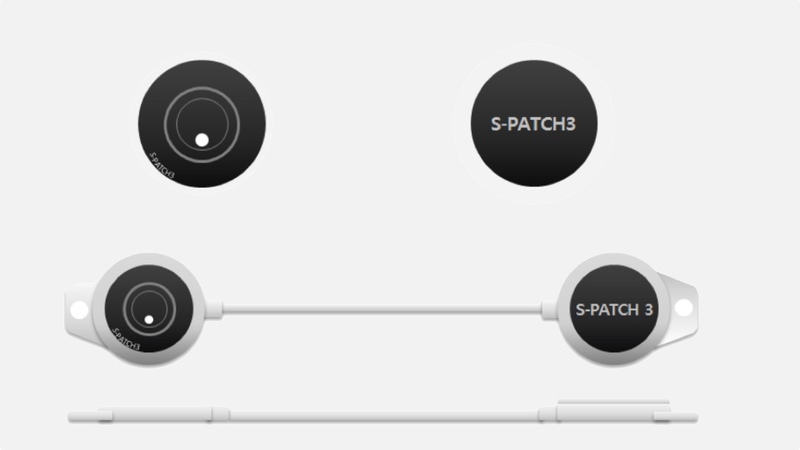 The listing for the S-Patch 3 shares very little details on specs, but a single image provided appears to confirm that this is modelled on the S-Patch prototype that Samsung talked up at CES 2016 and you can see in the video below. So it's likely that this device can be stuck onto the body as well and will continuously monitor heart rate to a ECG standard, which means it'll work closer to hospital grade heart rate monitoring to ensure data is extremely accurate. Bluetooth connectivity is on board as well, which would allow data to be delivered in real-time to your smartphone or even to doctor or a trainer to help make better sense of the information. Samsung's bio-processor is likely to be powering the wearable as well with with the company's sensor-packed chip also capable of monitoring PPG, skin temperature, Galvanic Skin Response and body fat data. We've already seen patch-style wearables that promise to deliver medical-grade biometric data, but this is the first example of a major tech company taking health monitoring seriously and moving the monitoring away from the wrist and the ears. The fact that it has popped up in the FCC is a strong indication that it's almost ready for the masses to try out as well so hopefully it won't be too long before we get to put the S Patch 3 to the test.